Dr. George Adrian graduated from Trinity College, Hartford, CT, with a Bachelor of Science degree in Biology. He obtained his Doctor of Optometry degree from the New England Eye Institute/New England College of Optometry in Boston Mass., where he was a Clinical Teachers Assistant. Dr. Adrian’s clinical training included externships at the West Haven CT VA Medical Center and the Brighton Marine Public Health Center. Dr. Adrian’s post doctorate education includes Diagnostic and Therapeutic degrees from College of Optometry at SUNY (State University of New York) and the Eye Institute at the Pennsylvania College of Optometry/Salus University. Dr. Adrian maintains an Advanced Practice Certification for Optometry allowing him to treat eye conditions, injuries, and pathology at the highest level allowed by CT law. 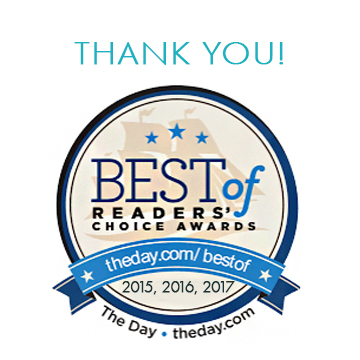 The Groton Eye Center was founded by Dr. Adrian and has been providing eye care to Southeastern CT for 21 years. Consultant to BESB State of CT: Low Vision Services for the blind and visually handicapped. A New England native, Dr. Kallinen grew up in Mystic, CT. After completing his undergraduate degree at the University of Connecticut with a major in Chemistry and a minor in Biological Sciences, he focused his passions on eye care, receiving his doctorate from the Pennsylvania College of Optometry at Salus University. Dr. Kallinen’s rotations at The Brown Center of East Providence RI, Blackfeet Community Hospital of Browning MT, Veterans Affairs Medical Center of Manchester NH, and at The Eye Institute of Philadelpha PA provided extensive training in managing a wide array of ocular conditions and diseases. Training at Pascarella Eye Care and Contact Lenses provided a wealth of knowledge in hard and soft contact lens fitting. Dr. Kallinen maintains an Advanced Practice Certification for Optometry allowing him to treat eye conditions, injuries, and pathology at the highest level allowed by CT law. 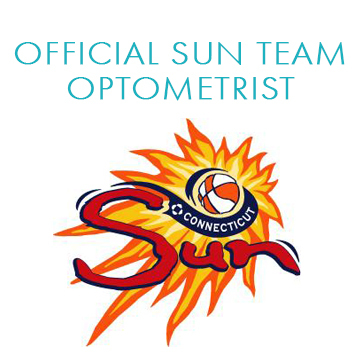 He is a current and active member of the Connecticut Association of Optometrists and the American Optometric Association. In his spare time Dr. Kallinen enjoys reading, the outdoors, cooking, gardening, and staying fit. Groton Eye Center welcomes Dr. Kevin Cranmer. A board certified eye surgeon, Dr. Cranmer practices comprehensive ophthalmology. He has a subspecialty interest in refractive surgery (LASIK and other procedures). Dr. Cranmer received his medical training at Harvard Medical School. After an internship at Albert Einstein Medical Center, he completed a residency at Wills Eye Hospital in Philadelphia. He is chairman of Ophthalmology at Backus Hospital and the former chairman at Windham Hospital. Jennifer has been an Optician at the Groton Eye Center since 2001. In addition to helping patients with eyeglass frames, prescription lenses, and contact lenses, she is also the insurance and billing manager.